It is important to floss your teeth every day to keep your mouth healthy. While you know that brushing your teeth at least twice a day is important, but what about flossing? It’s just as important and that doesn’t mean only a couple days a year right before your next dental appointment. 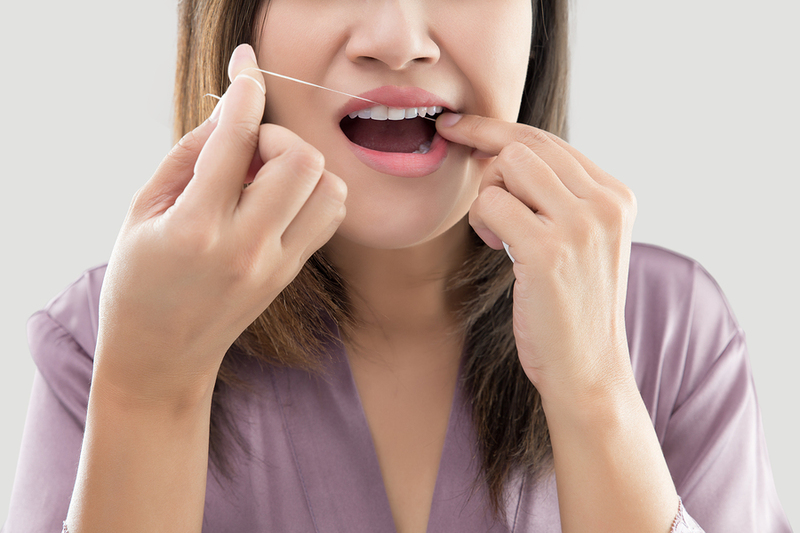 Here are a few reasons why you shouldn’t ignore the flossing aspect of your oral health. Plaque doesn’t rest. If you skip a few days of flossing, it allows bacteria the perfect amount of time to solidify. Plaque begins hardening within hours of eating. Once 48 hours have passed, the cavity-causing substance will be firmly stuck to your teeth. When this occurs, it is best removed by a professional cleaning. Bleeding gums will stop. Are you skipping the floss because you don’t want to bleed again? While this might seem counterintuitive, flossing can actually help to reduce the occurrence of bleeding gums. If you remove bacteria from the gum line, your body won’t send blood cells to the area to fight the infection. Happy gums mean a happy you! You’ll be healthier. Heart disease, stroke, diabetes, rheumatoid arthritis and even respiratory disease have all been linked to gum disease. By maintaining your gum health, you can help cut down your risk of other serious conditions. You can also improve your condition, if you’re already affected. Your teeth will stay strong. What’s worse than getting a cavity? Getting a cavity in between two teeth. Remove bacterial buildup in those hard-to-reach areas, and you’ll save yourself the pain of going under the drill. Schedule an appointment at James Ritter DDS in Virginia Beach, VA to learn more about the importance of brushing and flossing. Click here to schedule an appointment for a routine dental cleaning.